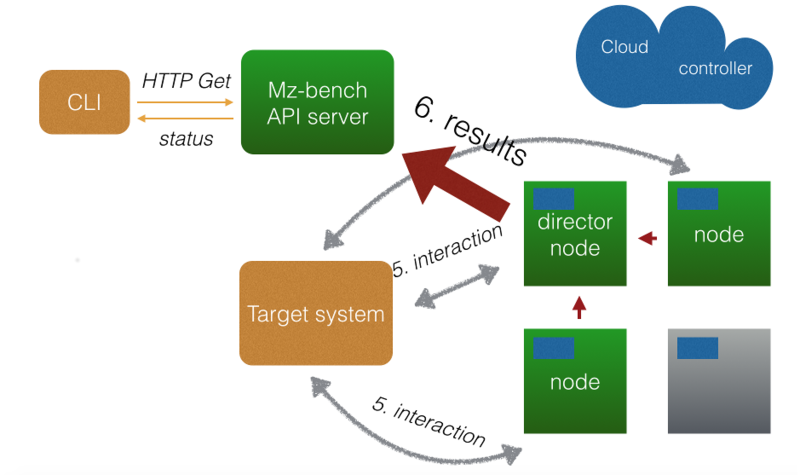 MZBench helps developers test software under huge load. With this, it helps reduce the risk of outages in production. MZBench runs test scenarios on many machines simultaneously, maintaining millions of connections. This makes it suitable even for large scale products (we’re talking Facebook large scale here). Cloud-aware: allocates nodes directly from Amazon EC2 or run on a local machine. Scalable: tested with 100 nodes and millions of connections. Extendable: lets you write your own cloud plugins and workers. Open-source: released under the BSD license. Available for CentOS 7 and Amazon Linux. After that, open http://localhost:4800/ to see the dashboard. Sources for this docker image are available on github. The first server start takes a few minutes. The shell will not respond, which is OK; please be patient. Further starts will be much faster. MZBench runs your test scenarios on many nodes, simultaneously. This allows it to put extraordinarily high load on the target system—we’re talking about millions of simultaneous connections here. Node is a machine, virtual or physical, that runs your scenarios. In real-life testing, MZBench is used with a cloud service like Amazon EC2 that provides nodes on demand. Alternatively, you can manually list the available node hosts. Anyway, you have to provide MZBench the machines to run on. If there’s not enough nodes to run all the jobs at the same time, MZBench evenly distributes the jobs between the available nodes. There’s one node that doesn’t run scenarios—the director node. It collects the metrics from the other nodes and runs post and pre hooks. So, if you want to run jobs on 10 nodes, reserve 11. To know what kind of jobs MZBench can run, it’s important to understand the concept of a worker. Worker is an Erlang module that provides functions for test scenarios. A worker may implement a common protocol like HTTP or XMPP, or a specific routine that is relevant only for a particular test case. It also implements the related metrics. 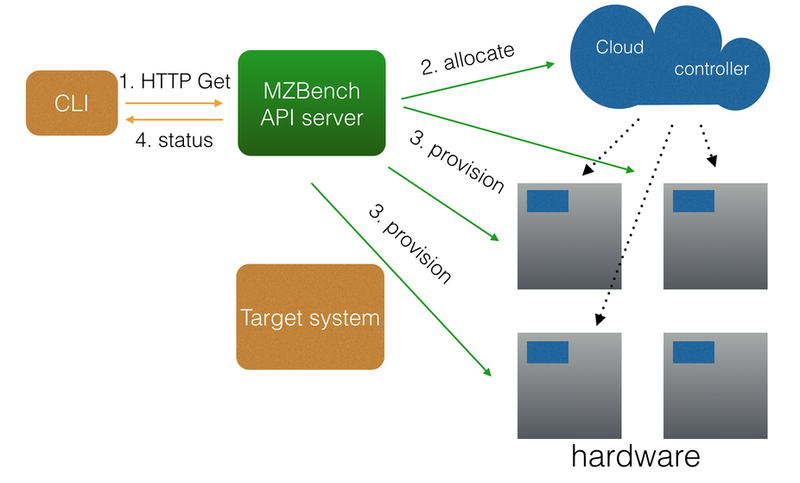 MZBench ships with workers for HTTP, MySQL, PostgreSQL, MongoDB, Cassandra, XMPP, AMQP, TCP, Shell commands execution, Simplified HTTP, and TCPKali. This should be enough for most common test cases, but you can use your own workers in necessary.